Asian raw-material producers advanced after a surge in commodity prices bolstered optimism the global economy can gather momentum. Oil extended last week’s strongest rally this year. BHP Billiton Ltd., Rio Tinto Ltd. and Nippon Steel & Sumitomo Metal Corp. underpinned gains on the MSCI Asia-Pacific Index, which is on track to rise for a seventh month. Equity gauges from Tokyo to Sydney were mixed. Oil added to gains from Friday, which came as inventories for crude and gasoline shrank. Copper’s rally has further to go, Citigroup Inc. said last week after the metal reached a two-year high while top producer Chile raised its price forecasts. Investors are assessing economic numbers from the world’s top three economies. China’s official factory gauge, the manufacturing purchasing managers index, slipped to 51.4 in July, compared to the 51.5 median forecast in a Bloomberg survey of economists and 51.7 in June, amid government efforts to curb financial risks. The U.S. economy expanded 2.6 percent in the second quarter, indicating the world’s largest economy is growing steadily. Meanwhile, Japan’s industrial output for June rose 1.6 percent from the previous month, rebounding amid solid global demand. 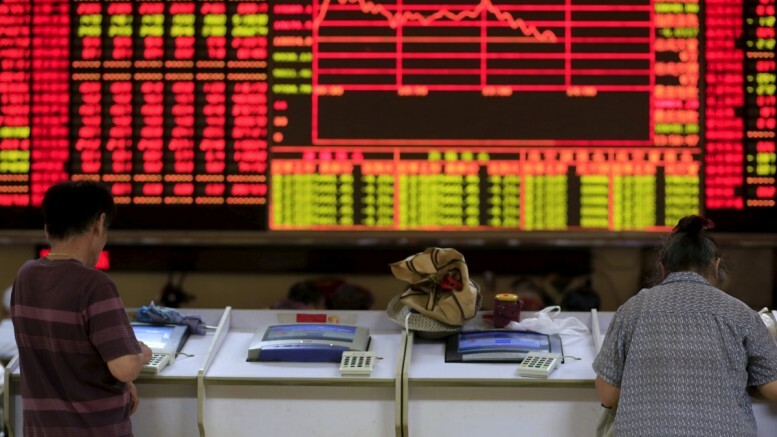 Asian stocks have rallied this year as evidence emerged of a resilient global economy. The MSCI Asia Pacific Index is set for a 3.7 percent gain in June, the biggest since January. It advanced 0.4 percent as of 2:16 p.m. in Tokyo, with a subindex of commodity producers up 1.3 percent, the biggest gain among industry groups. Corporate earnings remain of interest, with Apple Inc., Tesla Inc., Berkshire Hathaway Inc. and Toyota Motor Corp. slated to unveil results throughout the week. HSBC Holdings Plc’s second-quarter profit beat analysts’ estimates as outgoing Chief Executive Officer Stuart Gulliver boosted revenue while also trimming costs, and the lender said it will spend up to $2 billion buying back stock. Geopolitics are back in focus, after Russia ordered the U.S. to slash staff at its diplomatic missions in the country in retaliation for new sanctions approved by Congress, while North Korea on Friday test-fired an intercontinental ballistic missile for the second time in weeks, threatening to sour relations between the U.S. and China. Be the first to comment on "Asia Raw-Material Producers Gain as Resources Jump"